PEEK Machining -SENTINEL PLASTICS machines bespoke PEEK Parts to customer specifications, samples or drawings. 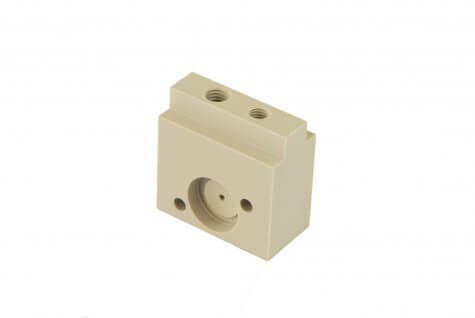 Our plastic CNC machine shop specifically caters for industrial plastic materials such as Peek. Known for being a high performance engineering thermoplastic. 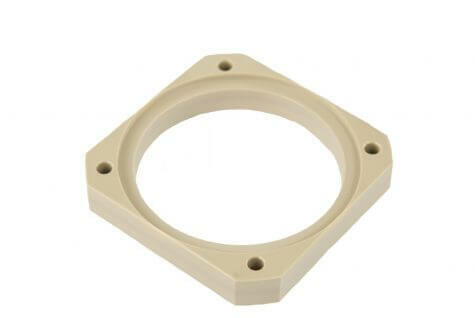 The term PEEK is an abbreviation for polyetheretherketone, the various grades of PEEK offer good chemical and water resistance, and can operate at high temperatures. 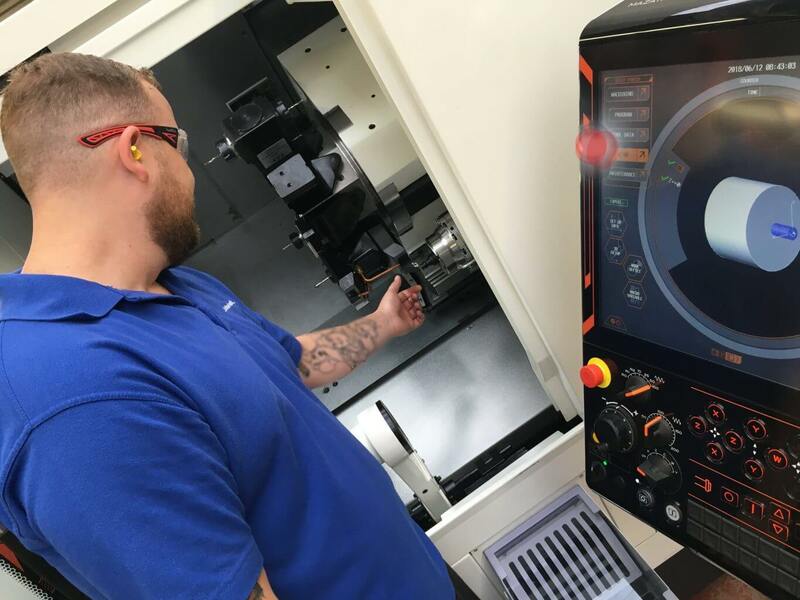 An attraction of PEEK material machining is it can be used continuously to 480°F (250°C) and in hot water or steam without permanent loss in physical properties. For use in hostile environments, the material PEEK is a high strength alternative. Another plus point of PEEK is it carries a V-0 flammability rating and exhibits very low smoke and toxic gas emission when exposed to flame. 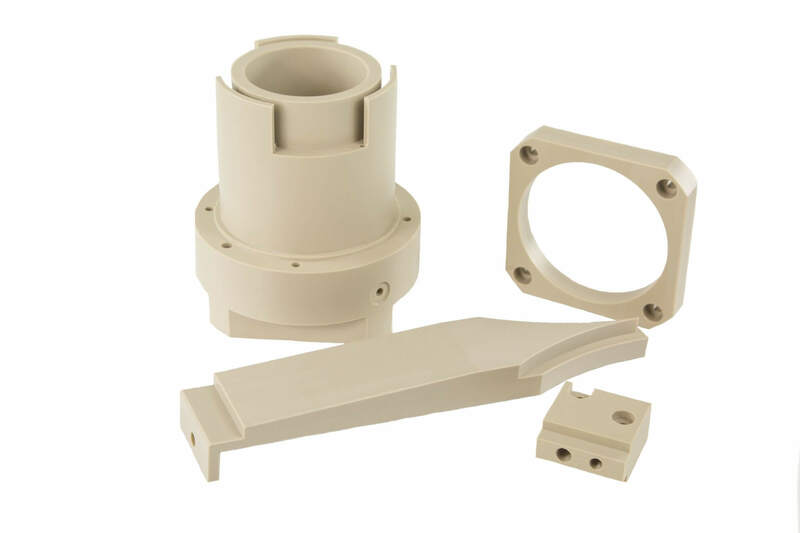 Standard PEEK Machined Parts made from general purpose Unfilled PEEK is not reinforced and offers the highest elongation and toughness of all PEEK grades. 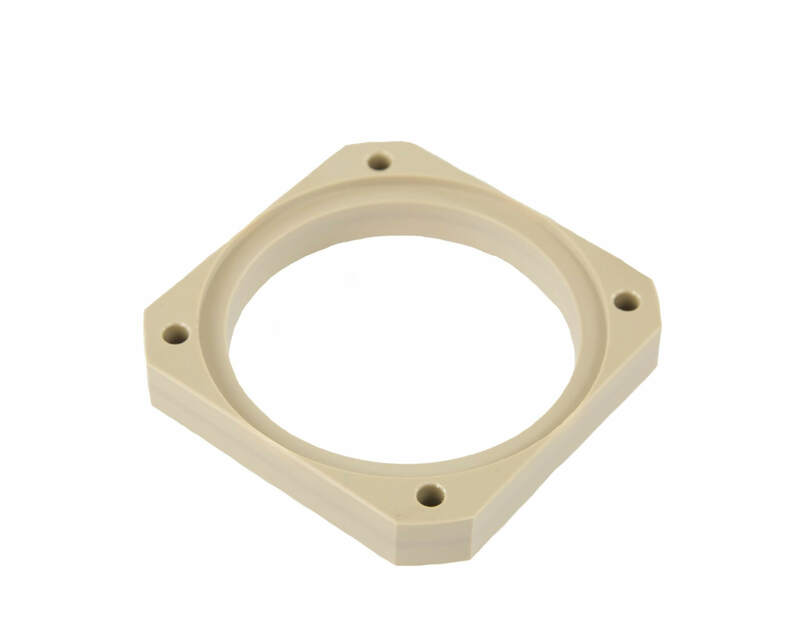 Black PEEK is ideal for instrument components where aesthetics are important, as well as for seal components where ductility and inertness are important. Unfilled PEEK grades comply with FDA regulation. 30% glass filled PEEK parts have an increase in flexural modules and a reduction in expansion rate. 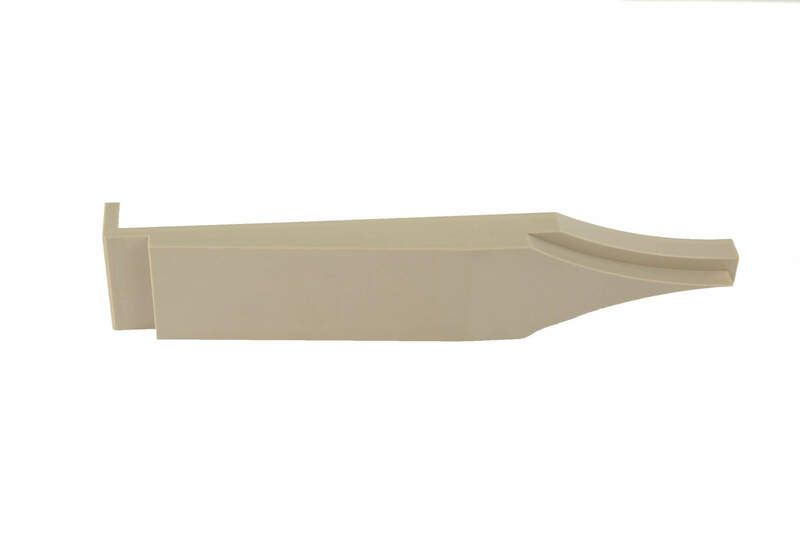 This grade is ideal for structural applications that require improved strength, stiffness, or stability, especially at temperatures above 300°F (150°C). Glass-filled PEEK is only available a light brown colour. 30% carbon filled PEEK parts have enhanced compression strength and stiffness, and a dramatically lower expansion rate. It offers designers optimum wear resistance and load carrying capability in a PEEK-based product. 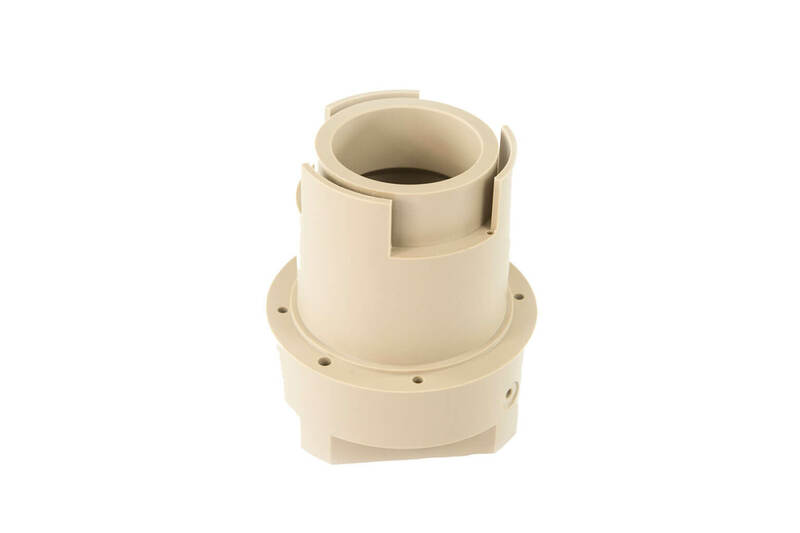 This grade provides 3½ times higher thermal conductivity than non reinforced PEEK — dissipating heat from the bearing surface faster. Carbon-filled PEEK is black in colour. Above all, for industrial applications, Sentinel Plastics offers custom PEEK Material machining. 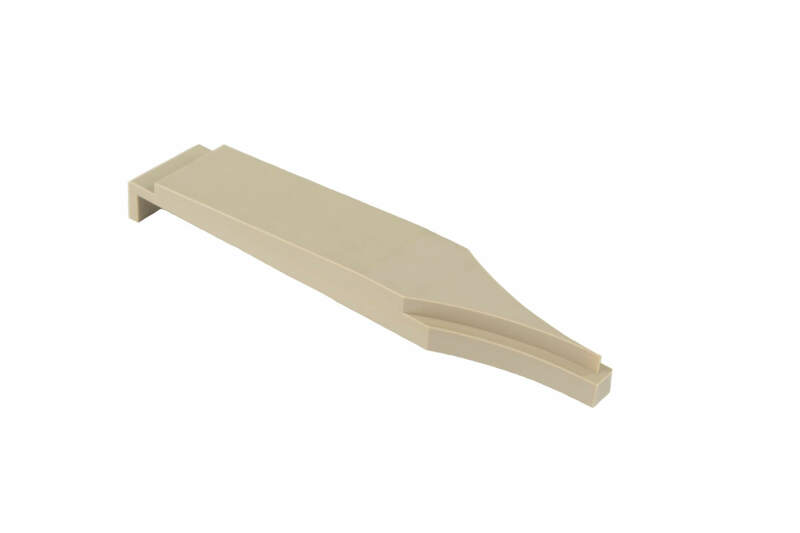 PEEK is a great plastic to machine, requiring special handling to minimize internal stress and heat-related cracks during machining. Also having, over 30 years of experience machining and fabricating specialty plastics. Likewise, Sentinel has the technical and manufacturing expertise to produce precision custom PEEK parts for you. 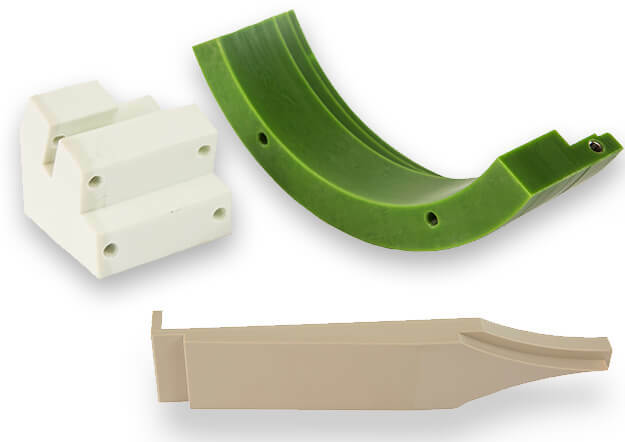 Finally, PEEK, or polyetheretherketone, is a popular thermoplastic used for a wide range of industrial parts and components. Because, it exhibits excellent strength, wear resistance, abrasion resistance, and finally, retains its properties at high temperatures. Peek Machined Parts are made in house on CNC controlled machines. Peek O-rings, Peek Seats, Peek Bushings, Peek Bearings, Peek Guide Blocks, Peek Wear Pads, Peek Washers.